Please type your desired tags, e.g. Microbiology, Sociology, Genomics, Systems and Computational Biology, renewable energy, Health Careers Preparation, Clinical Nutrition, Dietetics, Homeless Children, Chess, Alcohol Studies, Form, Craft, and Genre Gender Studies, Higher education, US History, Hermeneutics, Women’s studies, and etc. Over the past decade, while on the faculty at the University of New Mexico, I have taught field geology, structural geology, tectonics, exploration geophysics, geology of New Mexico, solid earth geophysics, paleomagnetism, scientific presentations, Earth history, and physical geology. Notably, working with a colleague at the University of New Mexico, I have developed and refined the field geology course into an outstanding and also demanding/rigorous field geology experience. I also participate in the instruction of the University of Michigan’s summer field geology course. 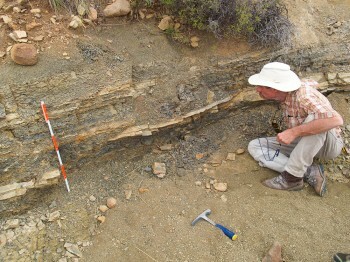 My research interests include the structural evolution of highly extended parts of the Basin and Range Province in the western US, Triassic paleomagnetism and magnetostratigraphy and its bearing on Colorado Plateau rotation, Pennsylvanian/ Permian redbeds along the eastern and northern margin of the Colorado Plateau, deformation along the eastern margin of the eastern Himalayan syntaxis in Southeast Asia, Precambrian paleomagnetism in the western US, pseudotachylite formation, the emplacement of shallow level igneous bodies (e.g., laccoliths and regionally extensive sill complexes), and developing improved techniques to recognize subtle yet significant differences among populations of magnetized phases in rocks whose magnetic mineralogy is dominated by magnetite and/or maghemite. New Mexicans for Science and Reason. 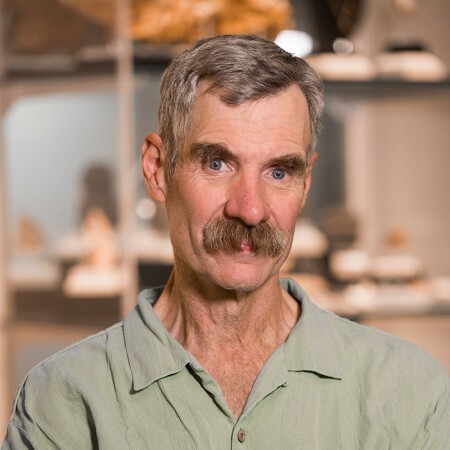 Dr. John Geissman, professor in the UT Dallas Department of Geosciences, has been named president of the Geological Society of America. He began his one-year term July 1. 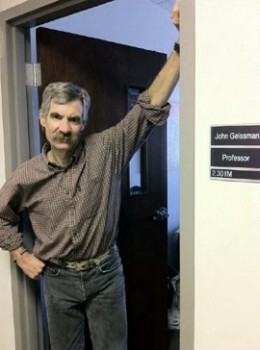 Geissman joined UT Dallas last year. His research interests include paleomagnetism and tectonics. “The opportunity for constructive cooperation among all professional geoscience organizations has never been greater,” Geissman said of his appointment. “GSA must continue to play a vibrant role in this mission, by first and foremost fostering a strong, energetic, and visible professional organization for its members and translating our importance to society.” He will address the GSA annual meeting in Minneapolis, Minn., this fall. The organization, established in 1888, encourages earth scientists to share their findings about the study of the planet. New evidence gathered from the Karoo Basin in South Africa sheds light on a catastrophic extinction event that occurred more than 250 million years ago and wiped out more than 90 percent of life in Earth’s oceans and about 70 percent of animal species on land. In research to be presented Wednesday at the annual meeting of the Geological Society of America and published in the October issue of the journal Geology, a University of Texas at Dallas geologist and his colleagues describe new findings that challenge the currently accepted model of the “Great Dying” and how it affected land animals. That event occurred at the end of the Permian geologic period.